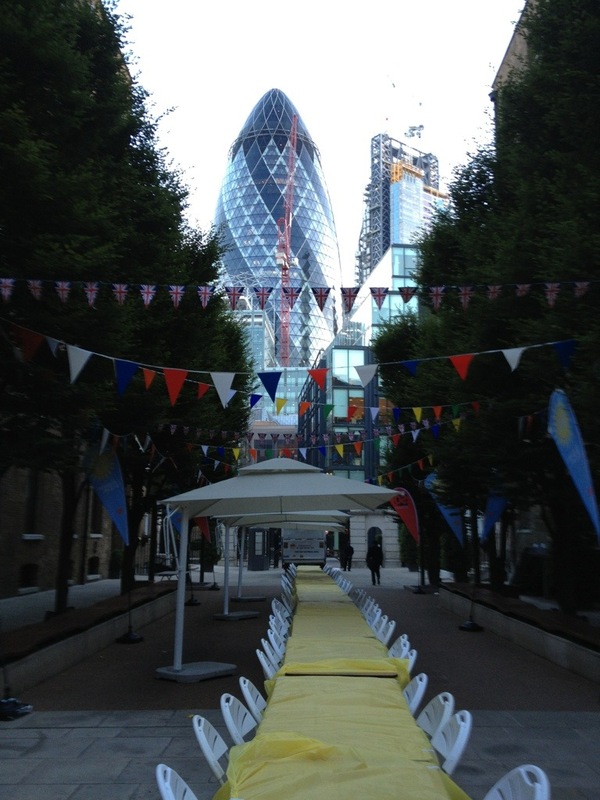 So we were in the City today to provide cover for a client holding a party near their premises. The weather forecast was questionable to put it mildly – heavy downpours were forecast but in the end the parasols were needed more for sunshade. Another happy customer! ©2014 Large Parasols. All Rights Reserved.